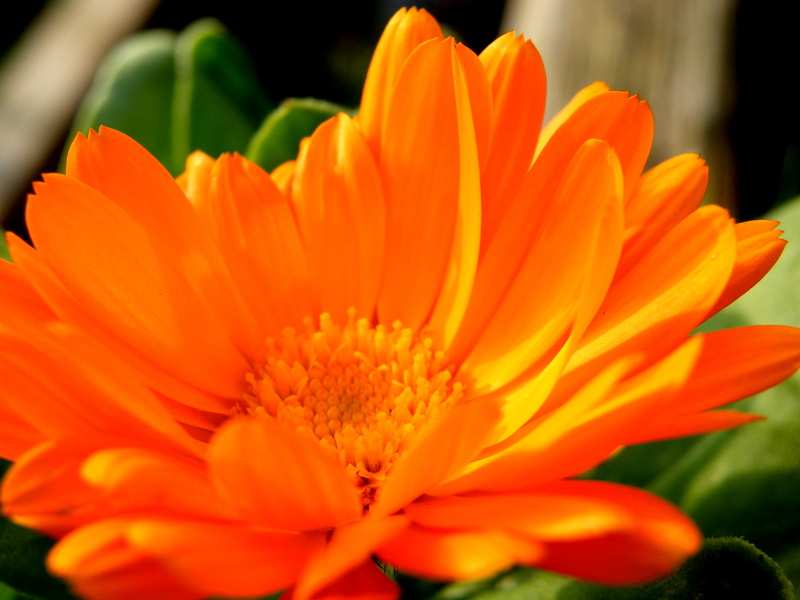 While working in the garden today, and mind it is not a large garden at all, I discovered a nice trailing Marigold plant full of bright orange old fashioned English Marigold flowers, it looked so quant! Of course I knew that this plant was there, I planted it there myself last year, but over the winter it must have started to trail down beside the old pump, and it looks so good. It’s lovely when this happens, to discover something you were not expecting, something nice. 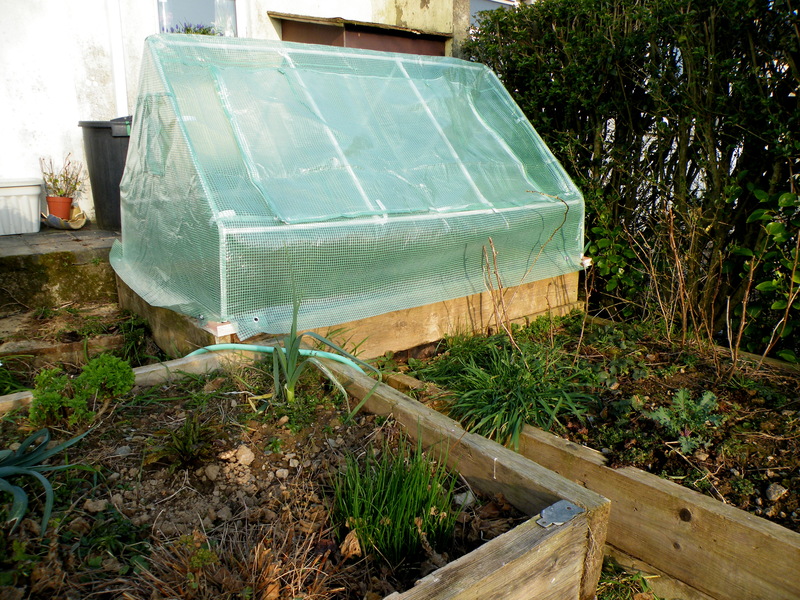 And the next cold frame/little greenhouse went up today too, as it was a lovely sunny day we were both working in the garden, and so was my grandson Ruben. We got quite a lot done, Ruben planted the broad beans and is now able to count a bit, so he could put two at a go. 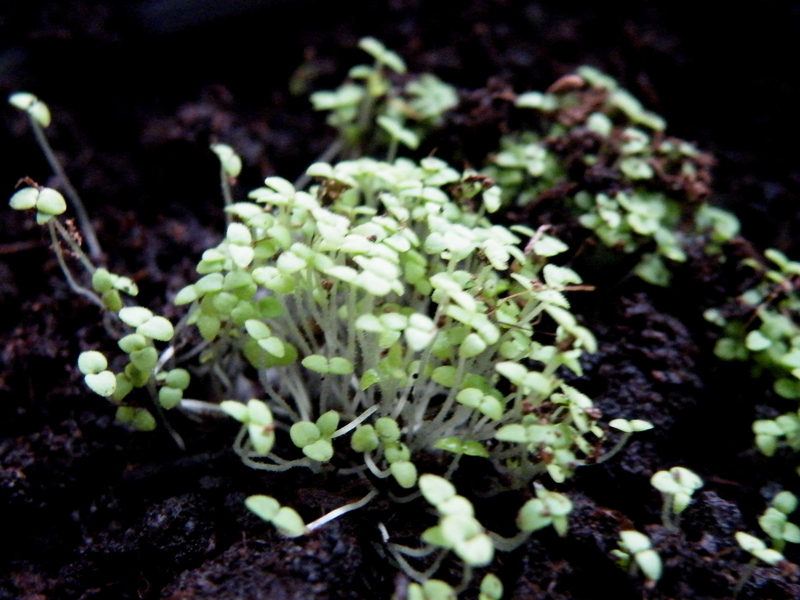 He also sowed (with a little help of Amma) tomatoes, and another type of Coriander. His mum showed me their new raised beds today and Easter is going to bring all my grandkids seeds and other garden goodies. I’m already looking forward to getting the stuff together for them. Last year they all grew some Radishes in my garden and had a great crop. Good to learn early in life I think. 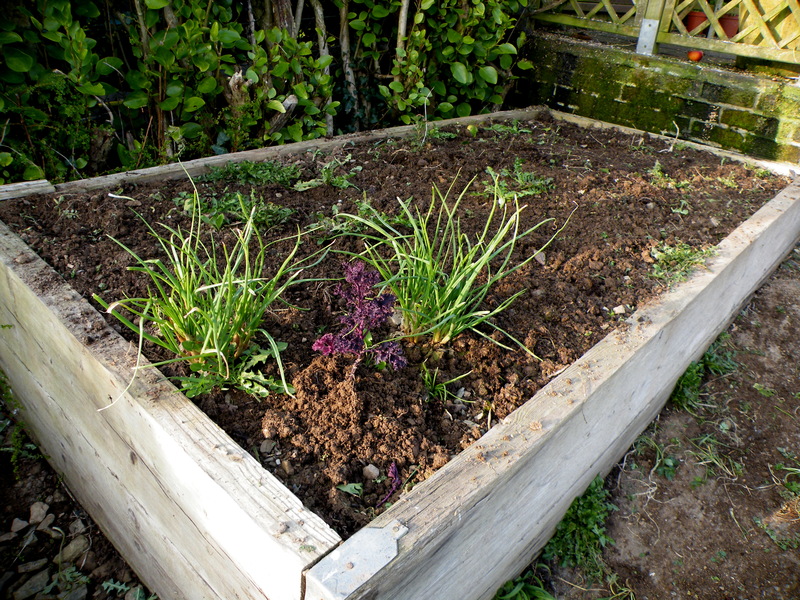 Bed ready for planting out in another week or two. I only pulled up the Buttercup plants, left the Dandelions and the nettles, and got some scallions in there together with one Kale plant. 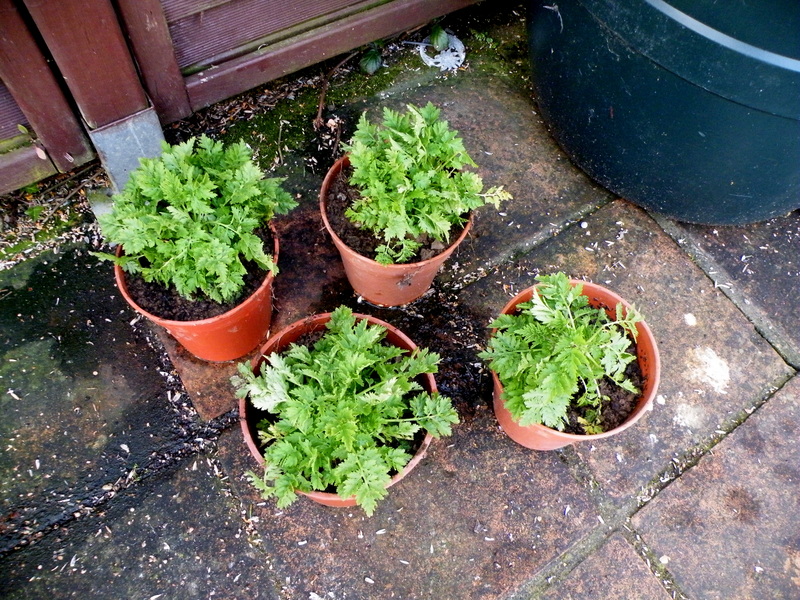 Some of the seedlings that are doing well inside, and four Feverfew plants for giving away as I needed to clear them out of the vegetable patch. They give lovely small Daisy-like flowers that flower all summer long. 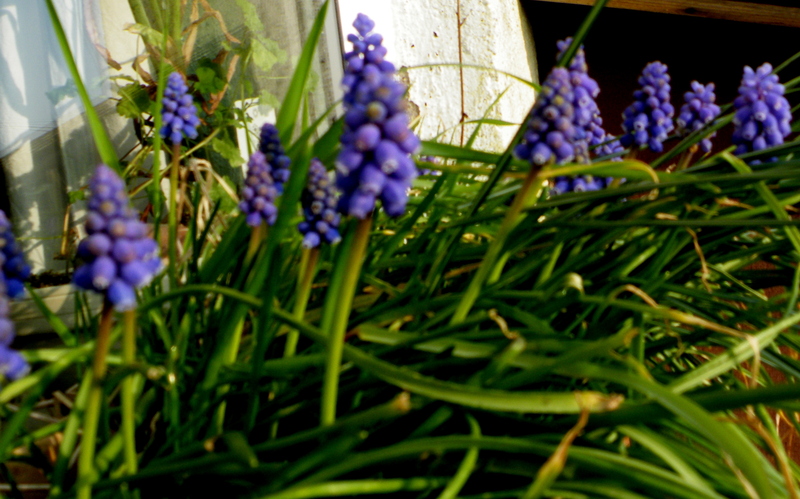 Grape Hyacinths on the windowsill, love these little flowers! 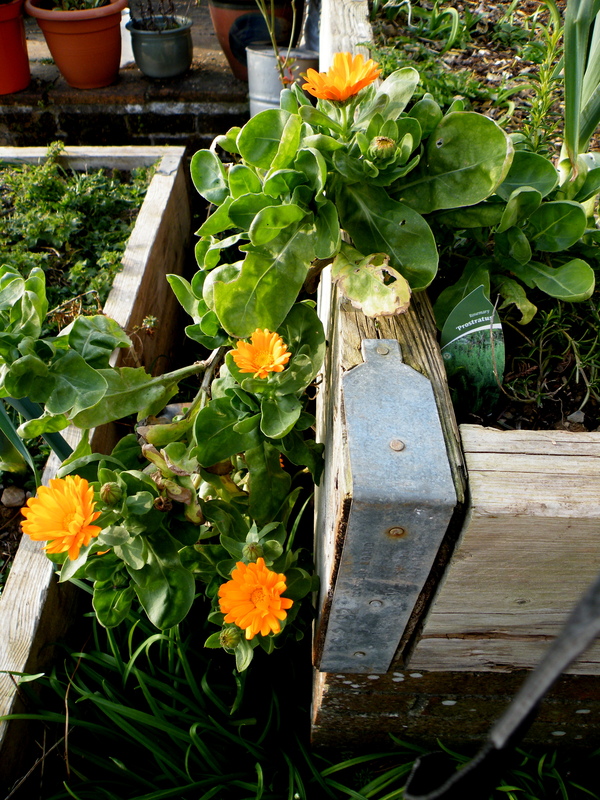 Pikes nursery carries trailing marigolds seeds. Inderdaad, en nu hebben we vandaag een beetje regen gehad, mooi!